Saturday, July 22, 4 PM. 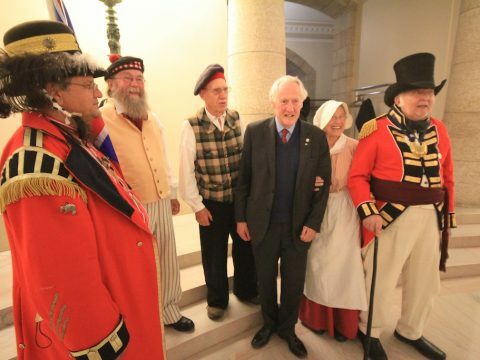 The committee hosts a farewell ceremony for Lord Selkirk at the grounds of the Manitoba Legislative Building. Rain at the beginning of the event moved the group indoors. 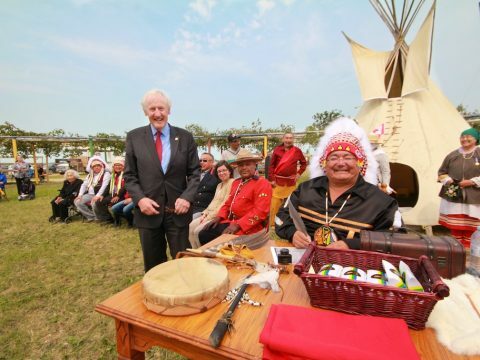 The bicentennary re-enactment of the signing of the Peguis Selkirk treaty of 1817 took place at Peguis First Nation on Friday, 21 July, as one of events of their annual treaty days celebrations. 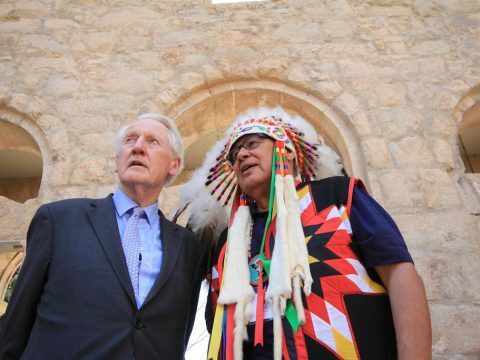 Lord Selkirk visited the Manitoba Museum in advance of his Friday visit to Peguis First Nation. 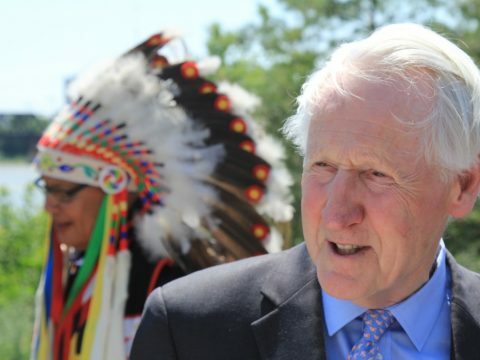 Lord Selkirk had a personal tour of the Canadian Museum for Human Rights on Thursday, July 20, 2017. 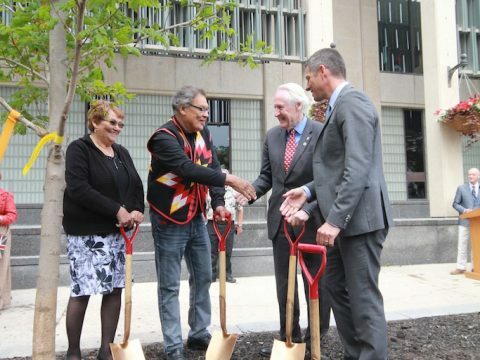 He was guided by Gail Asper. 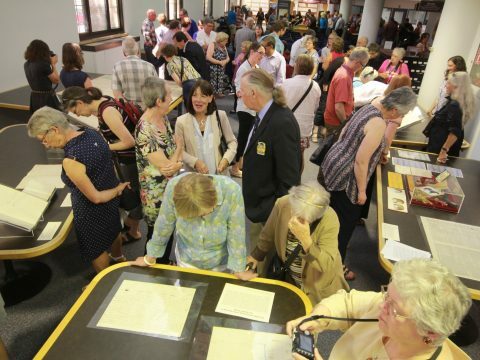 Tuesday, 18 July, 2017 Manitoba Archives, Vaughan Street, Winnipeg Reception hosted by Lord Selkirk Association of Rupert’s Land, at the Hudson’s Bay Company Archives / Archives of Manitoba. 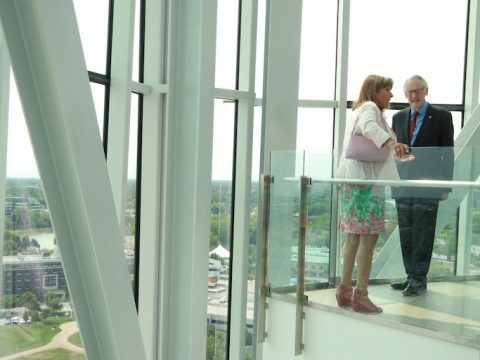 Check out the photos from the event. 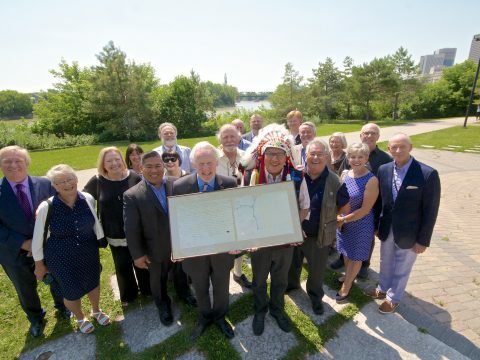 Tuesday, 18 July, 2017 11:00 AM, Neeganin Centre Commemoration of the signing of the Peguis Selkirk Treaty at Neeganin Centre and Centre for Aboriginal Resource Development. 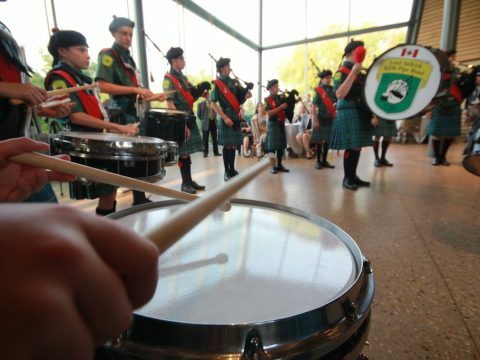 In attendance were Lord Selkirk; Chief Jim Bear, Brokenhead Ojibwe Nation; The Honourable Janice Filmon, Lieutenant Governor of Manitoba. 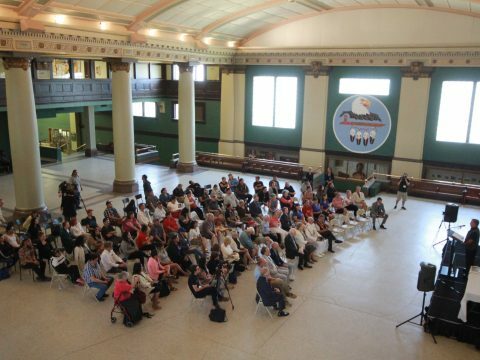 Video: What the Peguis Selkirk 200 Treaty Commemoration means to Ruth Elaine Christie – Peguis First Nation descendant, born in Loon Straits Mb, long-time resident of Selkirk Mb. 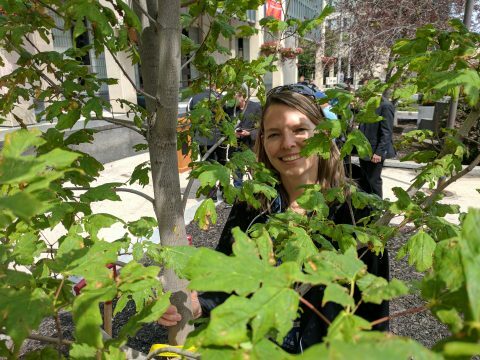 In conversation with Terry MacLeod. 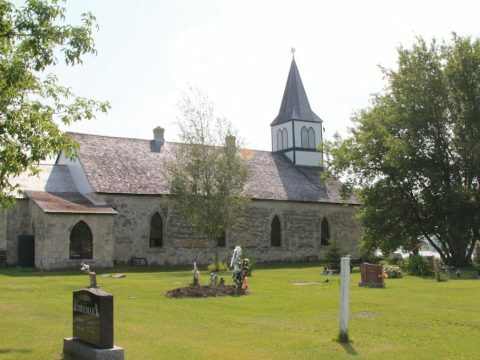 Video: The Selkirk Settlers and Thomas Douglas-The 5th Earl of Selkirk from PBS – Prairie Public Broadcasting Fargo, North Dakota. 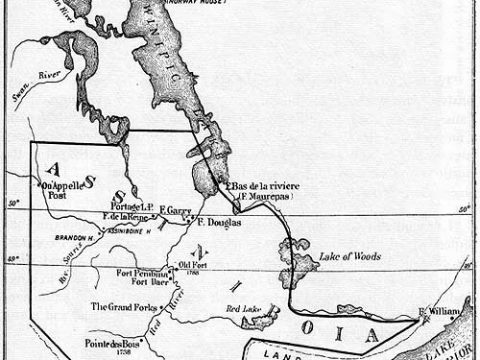 The meaning of The Peguis Selkirk Treaty of July 18, 1817 PART TWO with Bill Shead, John Perrin and Terry MacLeod. 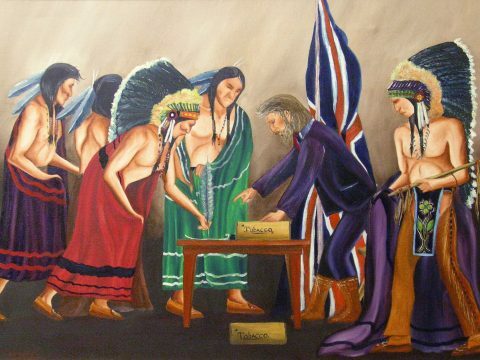 In the Royal Collection Trust is a painting by Ojibway artist Eddy Cobiness (1933-1996) entitled “Signing of the Lord Selkirk Treaty”. It was painted in 1970. 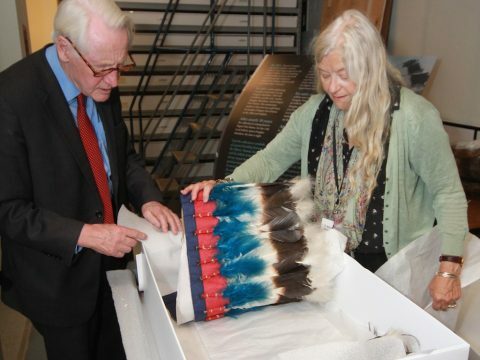 It was presented to Her Majesty The Queen during a Royal Visit to Manitoba in July 1970. The original painting is in Buckingham Palace, London. 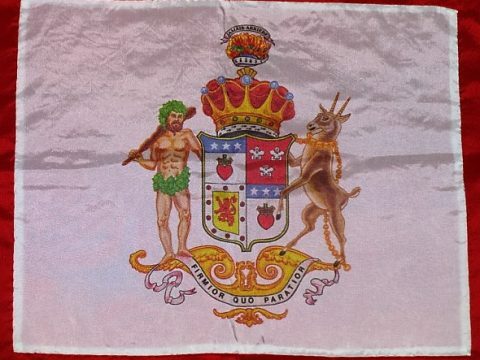 The personal flag of Thomas Douglas – The Fifth Earl of Selkirk. 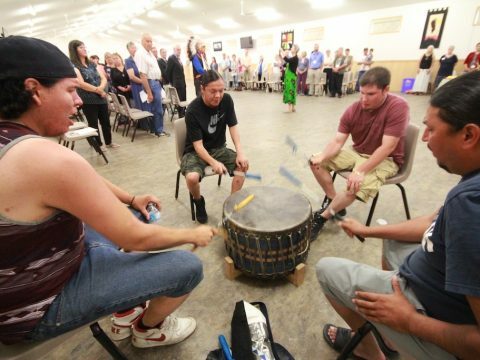 This video explains the Peguis Selkirk Treaty. 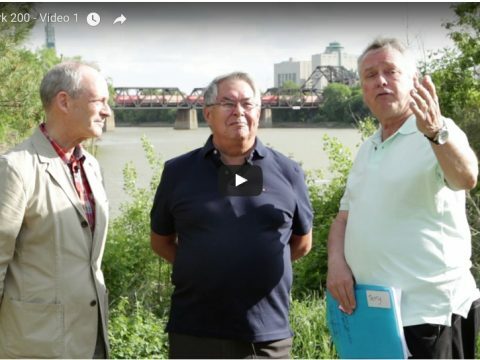 Terry MacLeod interviews Bill Shead and John Perrin.